Look around – can you imagine how many chemical reactions are happening before your eyes at this very moment? Some materials are synthesizing and some are decomposing. Some compounds are swapping molecules and some may combust. Without these reactions and our ability to predict them, there would be a smaller staff at Downton Abbey, tonic would stay fizzy, nausea would last, and the New Year would be quiet. The most important example of synthesis occurs when hydrogen and oxygen molecules combine to make water. This is as simple and profound as creation itself. A less inspirational example of synthesis is the formation of tarnish that occurs when silver reacts with sulfur in the air to make silver sulfide. Chemists call this 2Ag + S —> Ag2S and Lord Grantham calls it a steady job. A sad example of decomposition is the spontaneous decay of carbonic acid (H2CO3) into carbon dioxide (CO2) and water. This is why that large bottle of tonic that you have been saving for the summer G&T’s may ultimately disappoint: H2CO3 ——> CO2 + H2O. The most interesting reactions happen when compounds swap, or replace, molecules to form new substances. 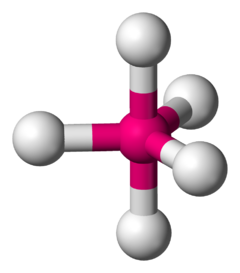 Hydrochloric acid (HCl) in the stomach makes us queasy until calcium hydroxide (Ca(OH)2) arrives. Oh what a relief it is when the acid is neutralized into two products that are much easier on the stomach: calcium chloride (CaCl2) and water, 2(HCl) + Ca(OH)2 ———> CaCl2 + 2(H2O). For sheer drama, however, no reaction can match combustion. Fireworks are made with gunpowder that produces heat and noise and metals that produce color. Copper shows blue, lithium and strontium red, and magnesium and aluminum are white when combusted. Combustion reactions produce much more energy than is required to start them and they need a lot of oxygen. Drama turns to danger when materials spontaneously combust, which happens when enough heat is generated by the reaction to ignite the materials at hand. This can happen with the right combination of microbes, moisture, heat and hay. The laboratory of my life got a lot more reactive this week as I am making plans to use my favorite Christmas gift: a Chemistry Set with enough equipment and reagents to conduct 333 experiments. My husband (aka Santa) has offered to help me set up an area in the garage and has even volunteered to be my assistant on the condition that I call him ‘Igor’. It’s all about the chemistry. As with friends, families, and communities, the truly interesting behavior starts once bonding has occurred and the structure is in place. The relationship dynamic for electrons is called “Valence Shell Electron Pair Repulsion”, which is a term that will never be hashtagged ever. VSEPR means that once electrons have bonded to form pairs, they move as far apart as possible from other electron pairs. This gives rise to many different structures as the pairs jockey for space. It’s important to remember that these structures are three-dimensional even though we draw them with dots, arrows and equations. I learned 10 structures this week, ranging from the lowly Linear, Bent, and T-Shape all the way to the magnificent Tetrahedral and Square Pyramidal. I also learned that these bonds build more than just beautiful structures. The nature of the bond has a direct effect on the physical properties of the compound. Strong bonds cause high melting points, high boiling points, and low vapor pressures. I wonder what new materials are out there waiting to be created with just the right combination of structure and strength? Tomorrow I am travelling to attend a conference about learning. I hope to eventually build just the right classroom combination, even though right now the areas of teaching and learning seem more like alchemy – all mystery and magic – and less like the balanced and predictable study of electrons that I find so comforting. The ways that atoms bond to make molecules, polymers, and metals are as wondrous as the ways that people bond to make friendships, marriages, and communities. The strongest tie happens when one atom gives an electron completely and unconditionally to another. The result is that the giving atom becomes positively charged and the recipient becomes negatively charged, so they become irresistible to each other. This type of bond is called Ionic by chemists and Lifelong Love by Bell Hooks. Once these molecules form, they remain intact and are not available to bond with other molecules. Another type of bond occurs when atoms simply share a pair of electrons. This means that they have some common platonic interests. If the sharing is equal, the bond is Covalent and if the sharing is unequal, the bond is Polar Covalent. Bonding gets really interesting when molecules form but they still have some extra electrons, or not enough. 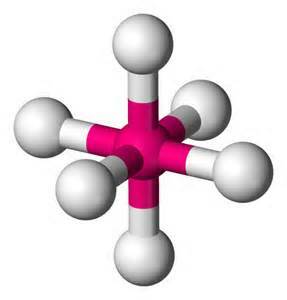 This causes them to bond in infinite arrays with other molecules that are seeking or giving electrons. This is how polymers and metals are formed. In the case of polymers, the pattern of electron bonding is rigid and repeating. This is why diamonds are so brittle. In the case of metals, electrons are shared between molecules freely and magnanimously. This is why metals are good conductors. I have had to re-build many bonds this year. I am happy that that they now know me by name at the post office, bank, and hair salon and that neighbors walk in our kitchen without knocking. However, I am still looking for others that are on an on-line journey to become a teacher and I’ll gladly give an electron or two when I find them. This week I made the long journey to the center of everything, where there is enough energy to kill us all. The nucleus is made up of protons and electrons held together by sheer force. This force is necessary because protons are positive and like charges repel. As they get closer to each other the force that drives them apart increases. This is artfully described by Coulomb’s law and consistently demonstrated on The Bachelor. The only way to overcome repulsion is for protons and neutrons to generate the energy that holds them together by giving up mass. The more they give up, the stronger the bond. Not a healthy relationship model, and it’s no surprise that things get really hot when a nucleus decides to split up or join with another. Unlike the friendly chemical reactions where electrons are shared or traded, nuclear reactions generate energy, significantly more energy than is needed to start the reaction. The energy from these reactions can be used to generate steam that drives turbines that are connected to electrical generators. It can also be used to generate vast destruction via blast, fire, and radiation. There’s no middle road in the center. Meanwhile, I am like an electron too far from center this week and I have one more week to serve before I return home. Unlike the particles that surround me, my pull stays constant no matter the distance.